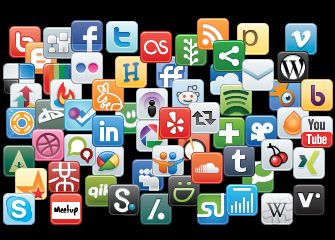 How many social websites are you logged into? Three? Four? Ten? I recently deleted my Facebook account. No, I didn’t simply deactivate it to take a break. I deleted my account permanently. After fourteen days, I won’t be able to log in. After ninety, Facebook will diligently delete all the pictures, posts, and messages that have accumulated over the eleven years I’ve had Facebook. It’s been eight days now, and I can say I don’t miss it. I really don’t. I’m having these annoying withdrawal effects (oh yeah, don’t think those don’t come.) My thoughts are geared for status posts. Every picture I take makes me wonder who will “like” it and whether they’ll comment. I have had every friend tell me, “You need to Snapchat with me!”, “Follow me on Instagram!”, “Are you on Twitter?” But every friend has a different social interest, and they have at least four that they frequent. Listen. These are all great, fine, and dandy. There’s something for everyone! And now people are slipping through the cracks because half of their friends are over here and the other half are over there. I got an Instagram recently just to follow the Bristol Renaissance Faire. I don’t actually like Instagram. I think it’s dumb. Facebook was so much better, but Facebook is gone. I also have a Twitter, and I usually use that to keep updates of my books. That’s what Twitter is for. Short and sweet updates. Listen, friends, my social media of choice is e-mail. Do you remember email? Right now it’s probably a spam bucket for all your media pages, but there was a time not so long ago when friends and family would write lengthy letters–including pictures!–to update you. It was glorious. Faster than mail by post, but just as nice. I love my email account, and I would love it if you emailed me. If not, well, I’ll see you on Twitter. Finally someone who understands! I still have my FB page, my homepage consists of things other people write which I check for ten minutes every now and then (I might like something but that’s about it). Yes! I do not miss Facebook at all. Turns out, I’m much more productive without it, haha!